There is no question that, the choice of diving equipment should be well-considered. After all, divers have to feel comfortable with the equipment they use. 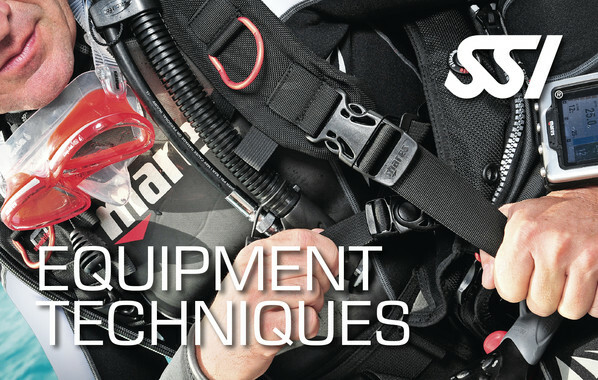 As part of the SSI “Equipment Techniques" course, you will learn which Total Diving System best meets your individual needs. In addition, you will learn how to maintain your equipment properly and store it appropriately. With this course, you will not only increase your performance, but you also give your equipment a significantly longer lifespan! The course is open to all divers from 10 years of age who have completed the Referral – provided that they have received a training in the water. You can complete the course online with us!